They are called the Ghosts of the Republic because they are dead and just refuse to accept it. The Ronin are the hunted survivors of a nation destroyed by the greed, arrogance and spite of the expansive Economic Exchange. Hunted by every bounty hunter, accused of every crime, they have no home, no refuge and no option but to fight to the bitter end. 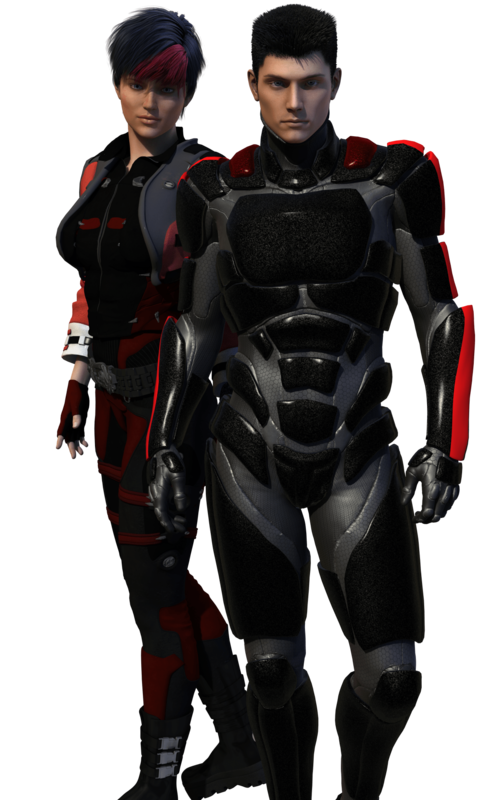 Doug is one of the Ronin, a genetically modified, cybernetic commando who has buried more than one bounty hunter. A squad leader without a squad, he now operates as an undercover loner that gathers information for the raids of his brothers and sisters at arms. While visiting a distant space station he discovers an Economic Exchange black project and meets a beautiful corporate hacker who wants to escape. Thus begins a race against time as the Ronin fight to save a brother-at-arms and discover the deadly secret the Economic Exchange wants so desperately to keep. Chased by the corporate elite enforcement arm, bounty hunters, private investigators, religious fanatics and mercenaries, their only friend is a renegade Confed agent with his own agenda. A billion to one against them, the Ronin would say the odds are even but the future of the human race may lie in the balance and defeat is not an acceptable outcome. Empires will clash and the human race will never be the same.